FICCI Aditya Birla CSR Centre for Excellence has been providing strategic direction to the development of inclusive CSR practices. It has been striving to create synergy by providing platform to various stakeholders to share their experiences, learn, exchange ideas. 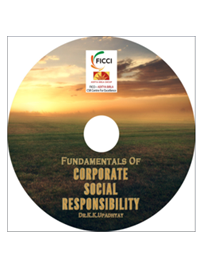 As a part of knowledge sharing initiative, the centre has recently come out with a handbook titled, “Fundamentals of CSR”. The handbook captures global definitions of CSR, understanding of CSR in India, along with tools and standards to incorporate CSR in business.